The teams at Disneyland Paris are busy preparing Pirates of the Caribbean for its reopening. The attraction is to reopen on 24 July and has been renovated, as well as the area around it. In the weeks leading up to the official opening, guests will have the opportunity to experience the ride during preview days. The face lift of Pirates of the Caribbean is the keystone of the Experience Enhancement Program that started in 2015 at Disneyland Paris. 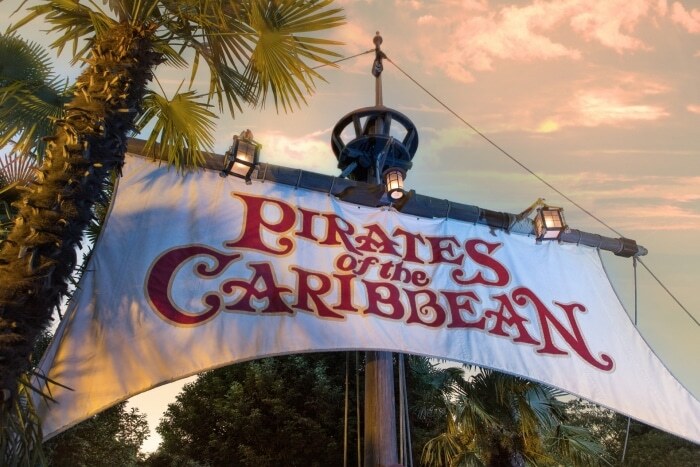 Pirates of the Caribbean has been one of the iconic attractions at Disneyland Paris since 1992. Its story dates back to the 60s, as this was the last attraction Walt Disney himself supervised for Disneyland in California. Teams here at Disneyland Paris have given it very special attention since January 2017 to offer it a new youth. The renovation of the outside of the attraction required painting the 3, 000 m² of facades, refurbishing the ground, now covered with irregular but realistic pavement, and even adding a new parking area for strollers. The operational teams are thrilled! All the elements in concrete and in wood have been manicured to give the decors their original glory. But it was not always an easy task. As Artistic Director Beth Clapperton explains, ”To set up the scaffolding along the walls of the fortress, on rocks, along beams, and the village houses was as much a challenge as we had faced when we worked on ‘La Cabane des Robinson’!” all the lighting was modified, and whether inside or outside the attraction, Led bulbs replaced the old ones, as had been done earlier at “it’s a small world” or at “Big Thunder Mountain”. These bulbs are more reliable and have less impact on the environment. The sound system was improved and the soundtrack was remixed to guarantee a first-class sound experience, worthy of Imagineers X. Atencio and Buddy Baker who conceived the timeless themes. Video projectors have replaced the previous pani-projectors for upgraded visual effects, while the teams at Central Shop changed or renovated the thousands of accessories in the waiting line and inside the attraction. 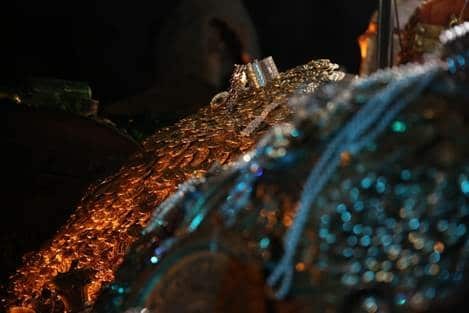 Would you believe the treasure in the last scene is made up of 30, 000 gold pieces, all glued one by one manually? When it reopens, Pirates of the Caribbean will offer its guests new surprises. The Blue Lagoon restaurant will become Captain Jack’s – Restaurant des Pirates. The menu has been completely redone thanks to the creative talent of the Food &amp; Beverages team at Disneyland Paris. The atmosphere will be familiar to our guests but they will be surprised by new accessories and references to the saga of Pirates of the Caribbean. This authentic pirate tavern belongs to Jack Sparrow himself. It is said he won it in a bet against Angelica Teach! Guests will even see the famous Captain’ for the first time in the attraction, through the most recent generation of Audio-Animatronics figures. 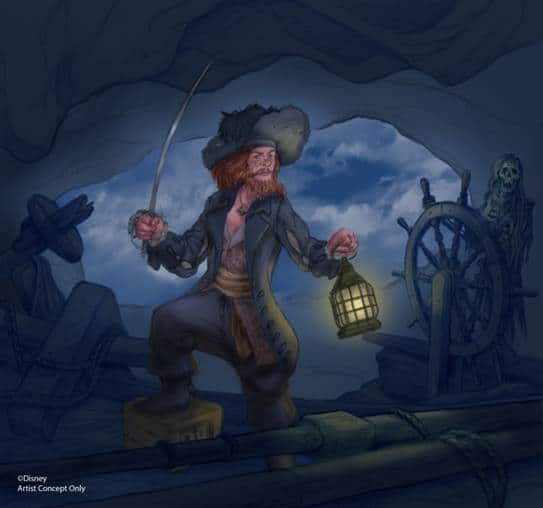 Other mythic characters from the universe of Pirates of the Caribbean, such as Hector Barbossa or Davy Jones, will appear through special effects. This attraction, one of the most innovating since 1967, holds many other surprises for one and for all! Operational Cast Members took up their positions at the attraction enthusiastically on 26 June to carry out the last tests and adjustments. They all await you on 24 July to once again sail across the mythical Caribbean!